Fall Housekeeping? 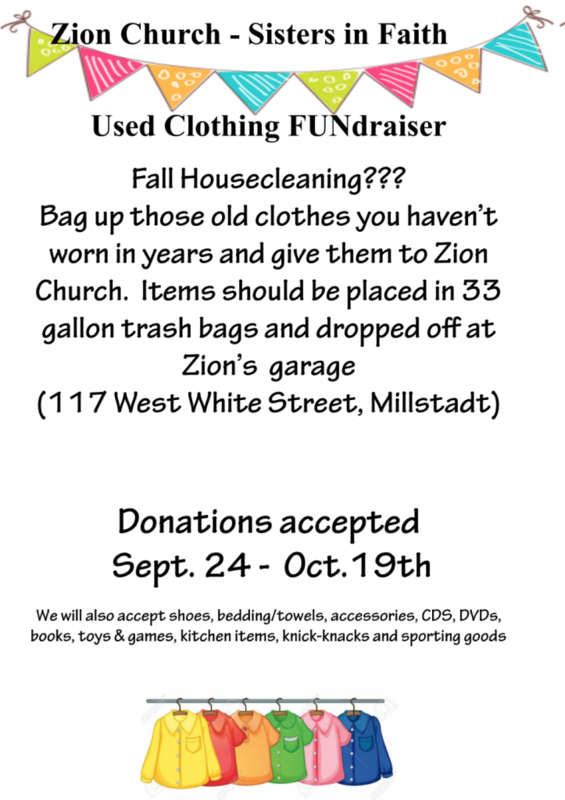 Bag up those old clothes you haven’t worn in years and give them to Zion Church in Millstadt. Sisters in Faith will be holding a used clothing fundraiser from Sept. 24 until Oct. 19. Items should be placed in 33-gallon trash bags and dropped off at Zion’s garage (117 West White Street). We will also accept shoes, bedding/towels, accessories, CDs, DVDs, books, toys, games, kitchen items, knick- knacks and sporting goods.